Arsenal emissaries have been in attendance at RB Leipzig’s matches on numerous occasions this campaign with Ibrahima Konate the subject of their rumoured interest. The Gunners are just one of three Premier League sides interested in 19-year-old centre-half Konate – Chelsea and West Ham United are the others, according to SportBild. 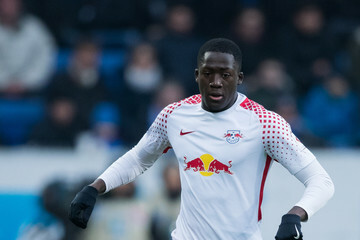 Ibrahima has formed a formidable partnership at the back with French star Dayot Upamecano with RB Leipzig currently in fourth place in the German top flight and chasing a place in next season’s Champions League. Arsenal coach Unai Emery was heavily criticised for not adding a defender to his roster last month, while signing Barcelona star Denis Suarez – a decision Charlie Nicholas labelled “a joke”. Be the first to comment on "CONFIRM: Arsenal send scout to closely monitor RB Leipzig star"